The objective of Puppy Start Right, a program developed by Karen Pryor Academy with Ken Martin, DVM and Debbie Martin, RVT,VTS (Behavior), CPDT-KA, KPA-CTP, is to provide an immediately available class for the youngest of puppies, beginning at 8 weeks, as recommended by The American Veterinary Society of Animal Behavior, which recommends puppy classes for ALL puppies 8-16 weeks of age. This is a place to begin dog/owner relationship training and canine social skills while puppies are waiting for our more structured Positive Kindergarten Puppy class to start. THIS IS A SOCIALIZATION CLASS. The instant availability of this class takes advantage of the puppy socialization period that occurs between 8-16 weeks of age. Discuss with breeders critical behavior development in the first 2–3 wk. Research shows gentle handling increases the neonate’s ability to cope with stress later in life. · Discuss the socialization period (2–12 wk). Demonstrate handling, nail trimming, bite inhibition, and safe exposure to novel sounds, textures, and objects. Explain appropriate exposure to other dogs, species, adults, and children. Encourage clients to attend group classes prior to 4 mo of age to promote socialization behavior. Discuss adult dog phobias (e.g., thunderstorms, fireworks) and how to prevent them. see attached article article-aaha-canine-life-stage-guidelines. This Puppy Start Right class is divided into 4 weekly class themes. Each class will be proceeded by a corresponding video the owner will watch. There is also an orientation video that the owner will watch before attending the 1st class. Because the class is a “drop-in” modular style, puppy owners can start at any time. Each of the weekly themes will include prevention topics, prevention exercises and training topics. These are all part of each of the 4 following weekly themes. 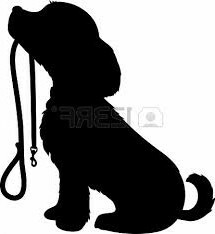 Price: $100 / 4 – 1hr dog/owner training sessions. Anything’s “Paws”able supports the American Kennel Club S.T.A.R. Puppy Program and Debi is an AKC Certified Evaluator. Puppies with early Socialization, Training, Activity, and a Responsible Owner will be STARS! A key component of the AKC S.T.A.R. Puppy Program is a responsible owner. The Canine Good Citizen Responsible Dog Owner’s Pledge is for the AKC S.T.A.R. Puppy Program, too. Responsibility should start the moment you decide to add a new dog or puppy to your family. The AKC S.T.A.R. Puppy program welcomes all dogs including purebreds and mixed breeds.